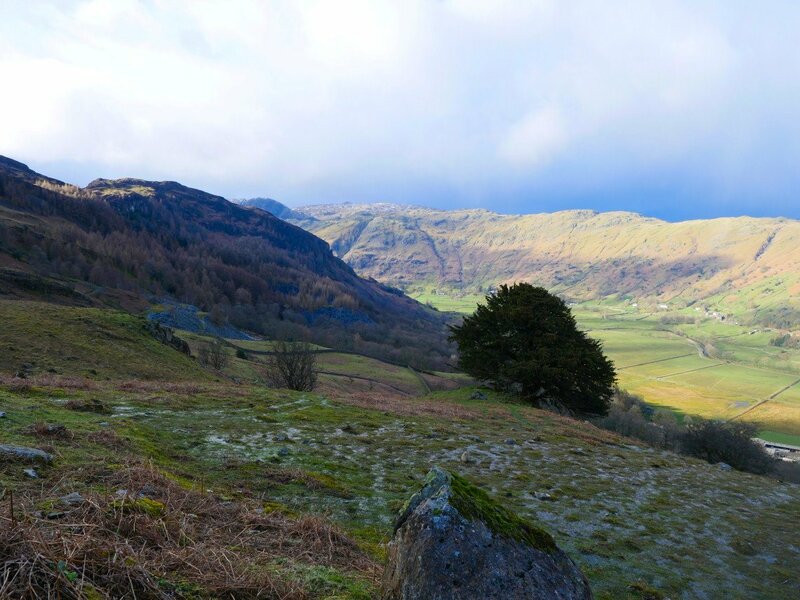 A better than expected day today for a walk climbing Lingmoor fell by a roundabout route taking in a couple of waterfalls. 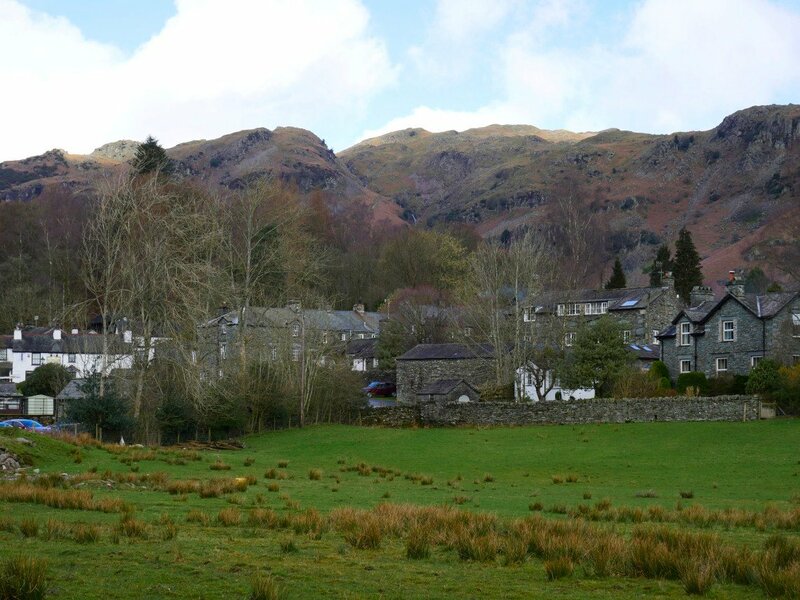 A nice bit of blue sky over Elterwater village. 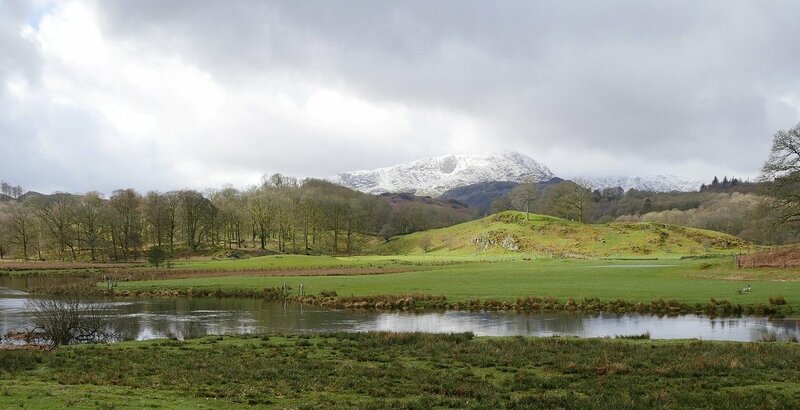 Wetherlam seen over Elter Water. 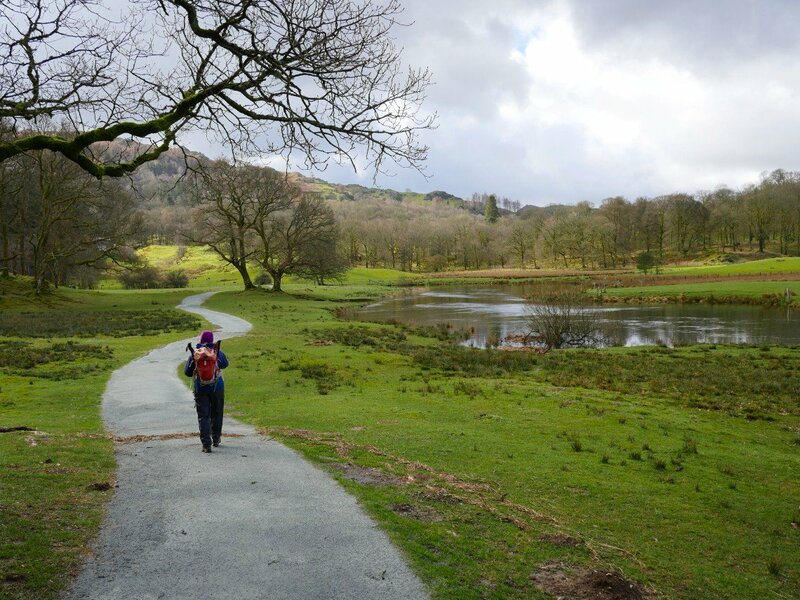 Saturday saw torrential rain and flooding in the Lakes and today there was a lot of debris scattered on the path. 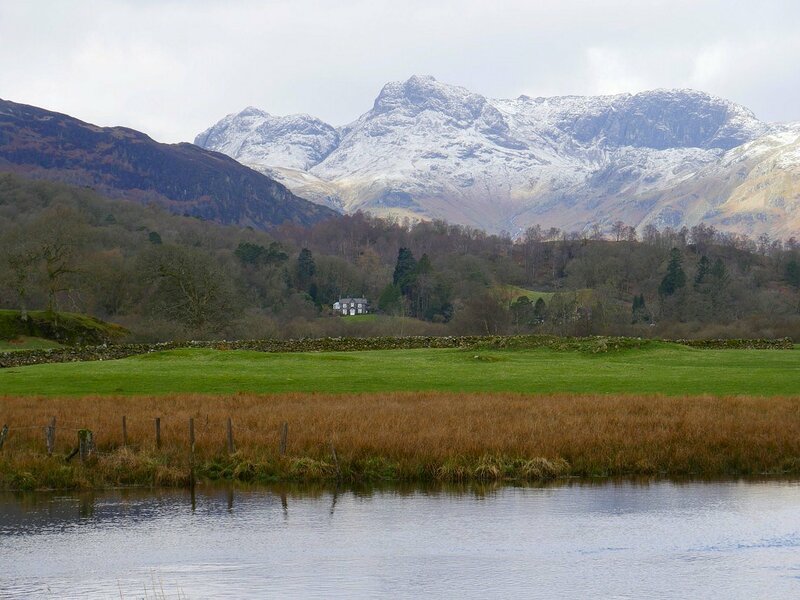 The Langdale Pikes with a sugar coating. 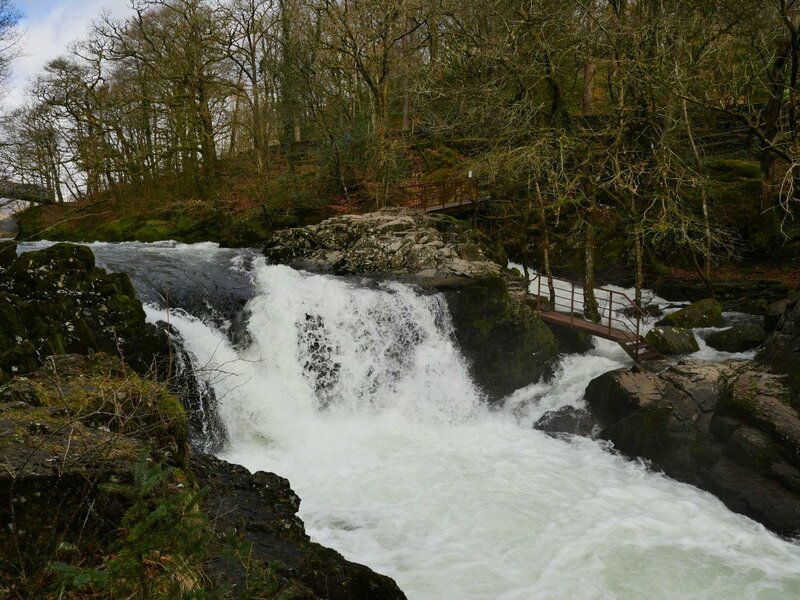 Soon we reach Skelwith Force which with all recent rain was quite powerful. 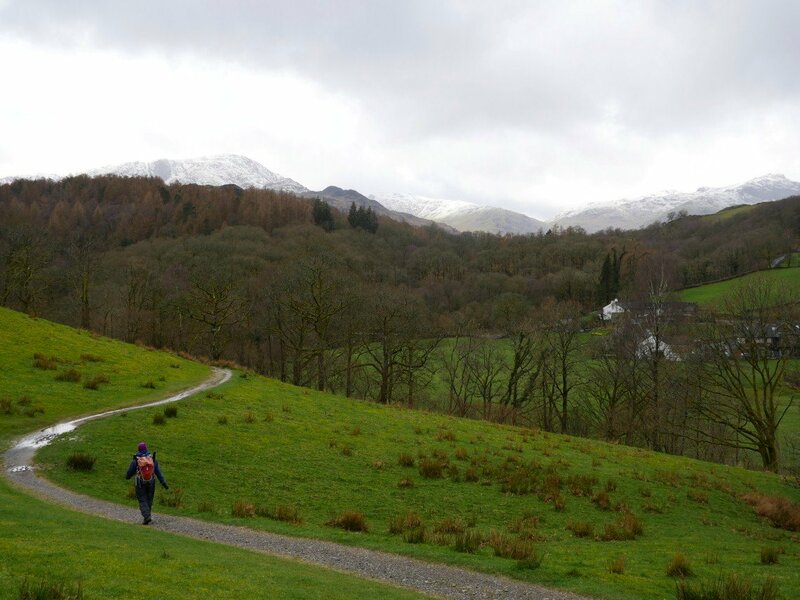 Following the Cumbria Way with Wetherlam and the fells around Wrynose in the background. 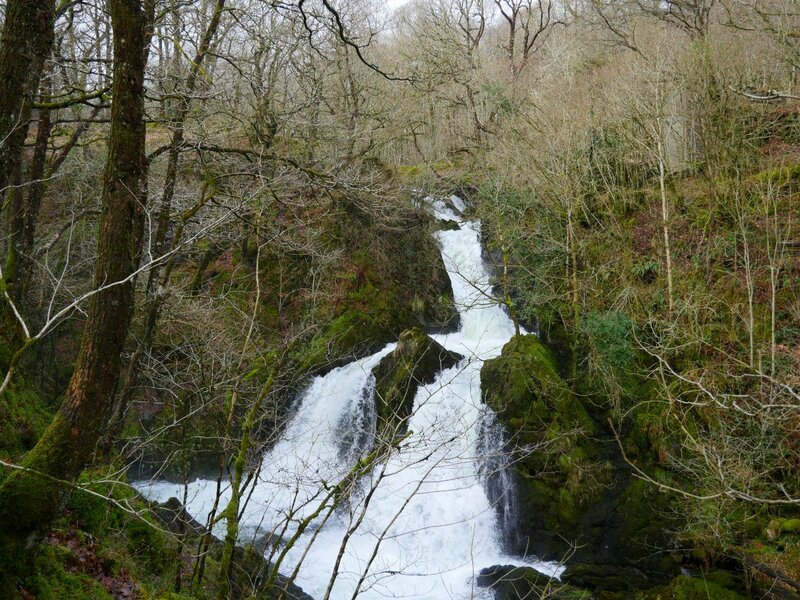 Soon we reach Colwith Force which again was flowing with quite some force. 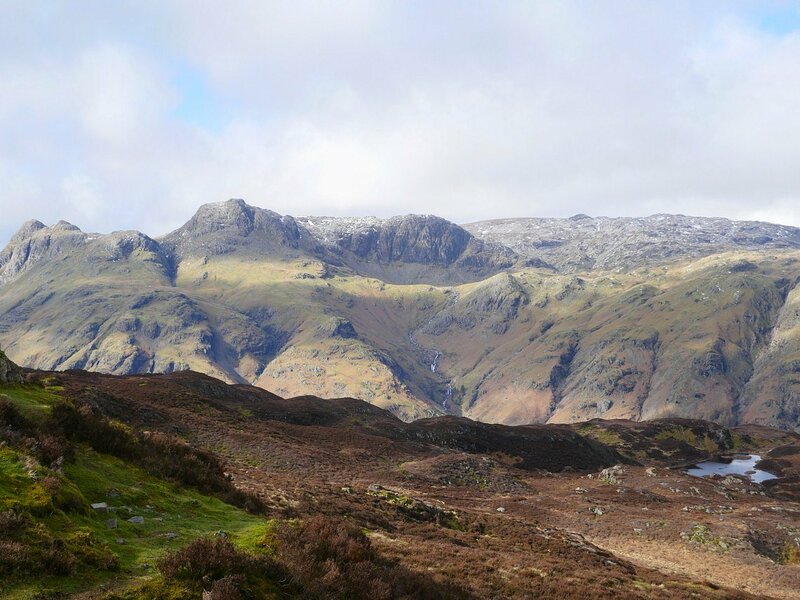 Finally we get a sight of today's principle objective: Lingmoor fell. 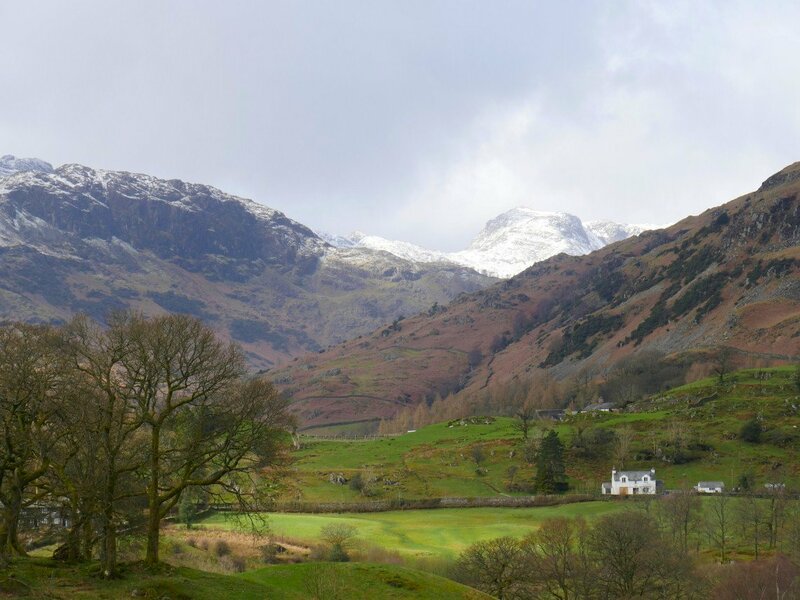 Zooming in on a very winterly looking Bowfell. We turn off the main track and cross Slater Bridge. 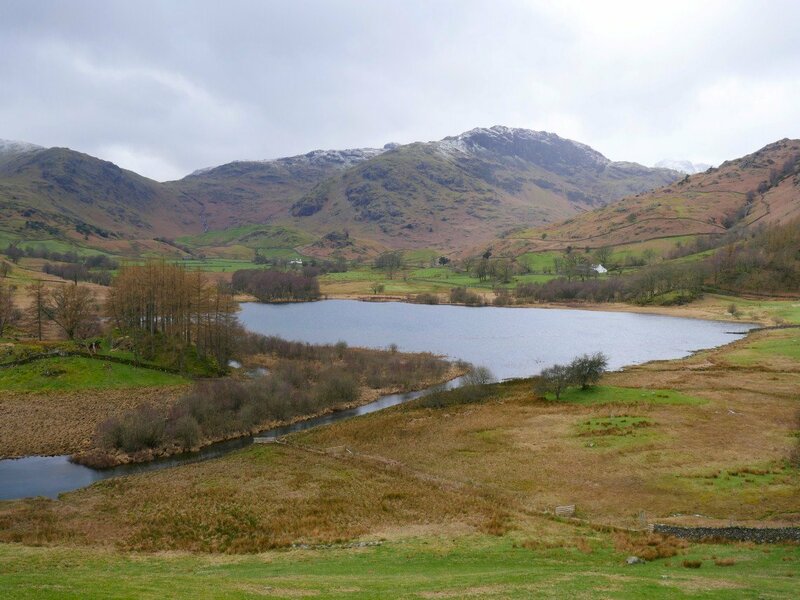 Passing above Little Langdale tarn on the way. 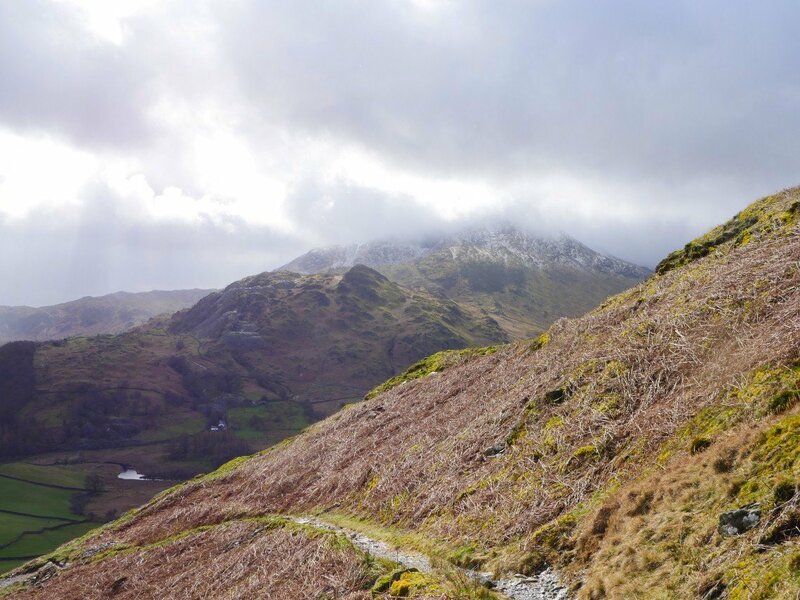 The path to Lingmoor from this side takes a nice easy zig zag route and is never really steep. 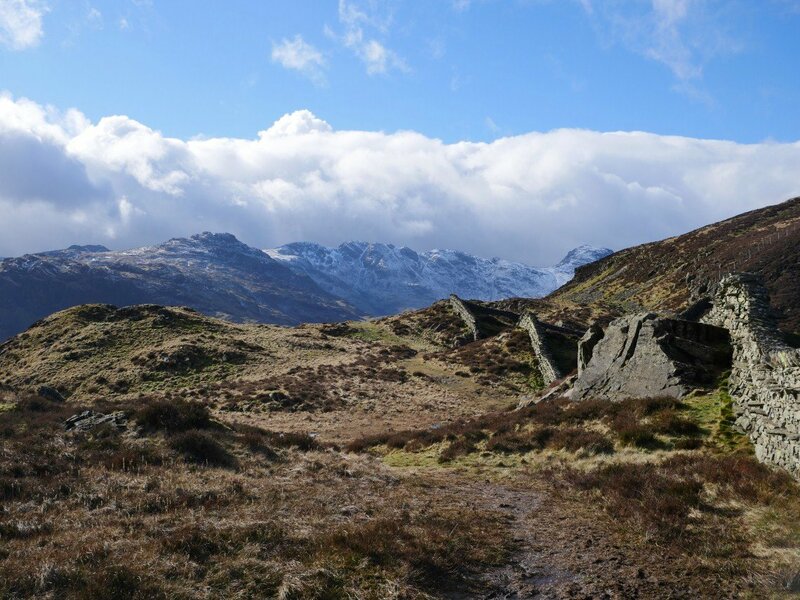 Bad weather is visiting Wetherlam and a few hail storms blew down the gap from Blea Tarn but luckily we were sheltered in the lee of the fellside so they missed us. 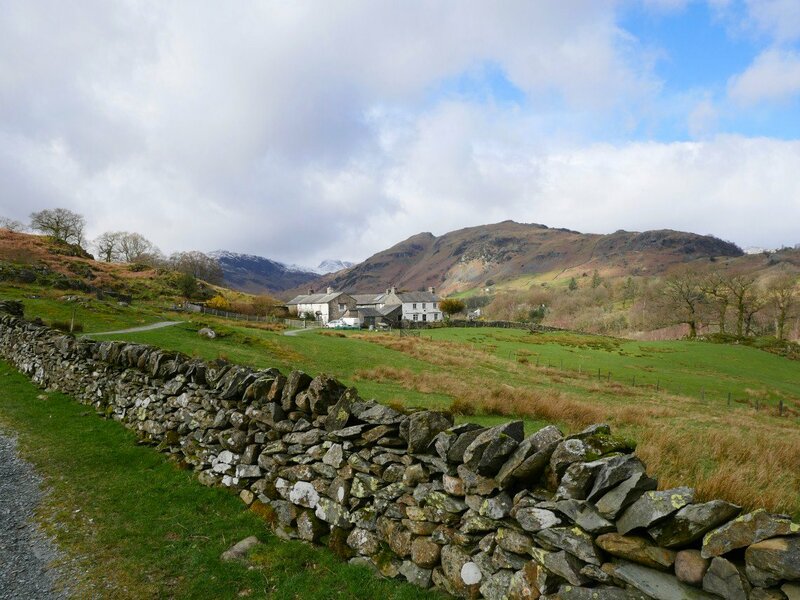 On to the ridge of Lingmoor now and we get to see the view over Chapel Stile village to Silver How and then the Fairfield group of fells. 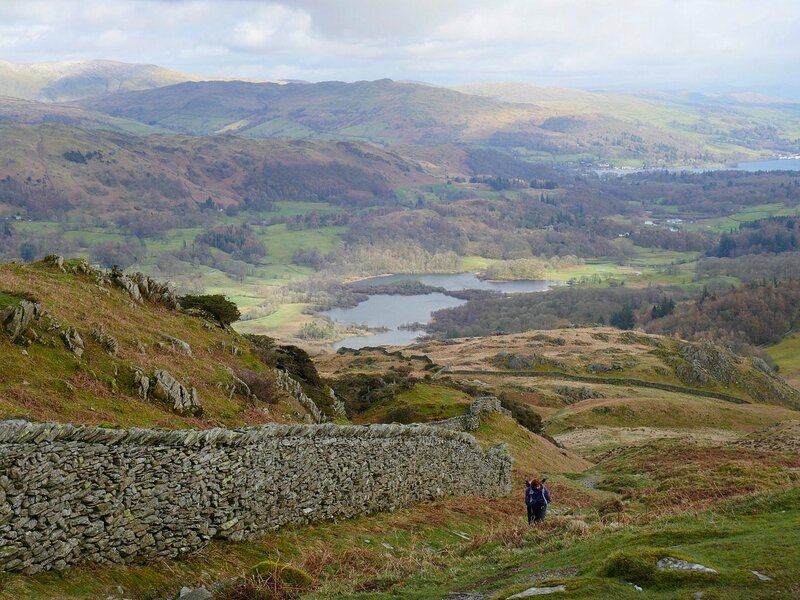 Looking back to Elter Water with Wansfell beyond. 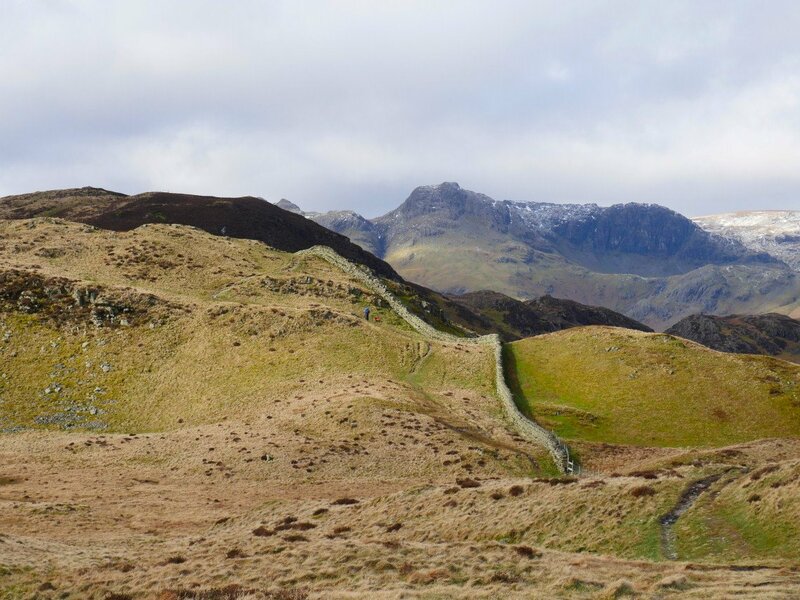 Brown How (as the top of Lingmoor is called ) appears as we follow the wall up and down along the ridge. 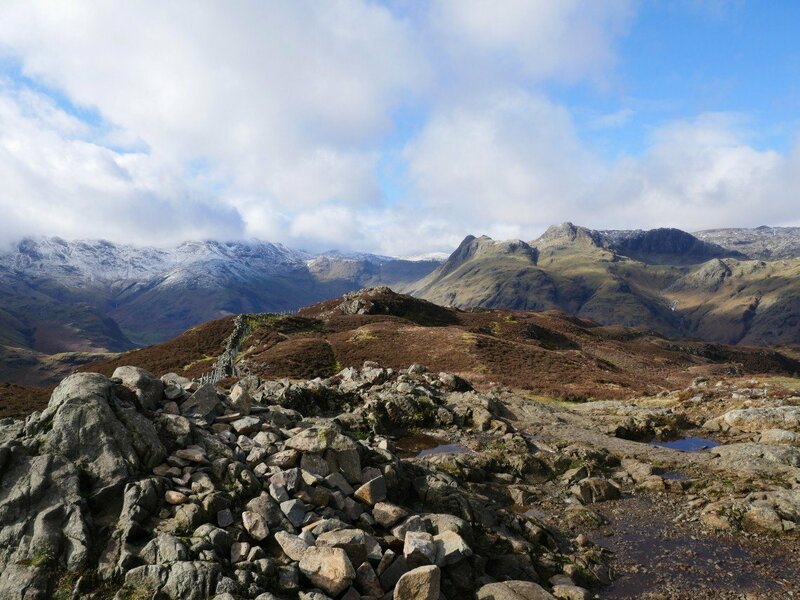 Lingmoor is a great viewpoint for the Langdale Pikes which seem to have lost a lot of their sugar coating..
Crinkle Crags and Bowfell are still well covered though. 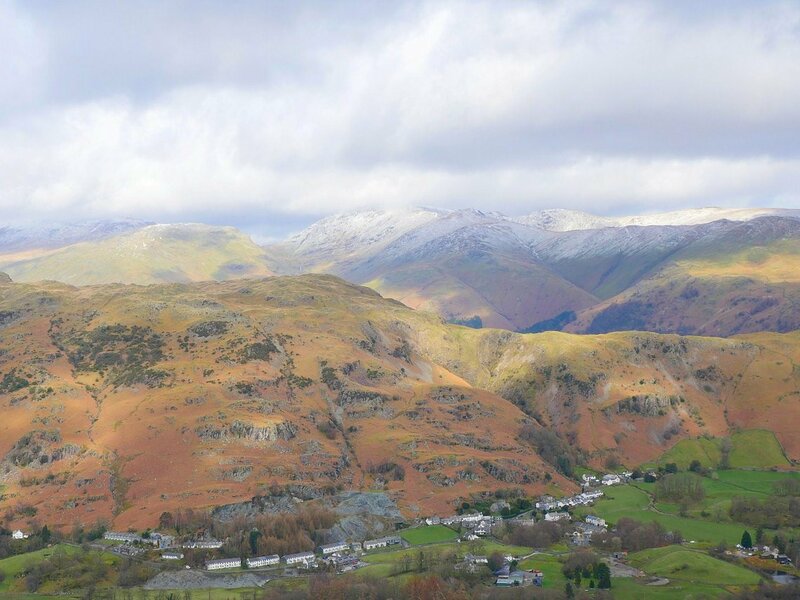 Seen here from the summit of Lingmoor. The distinctive Yew mentioned by Wainwright as a handy guide to turn sharp left when ascending from the valley. 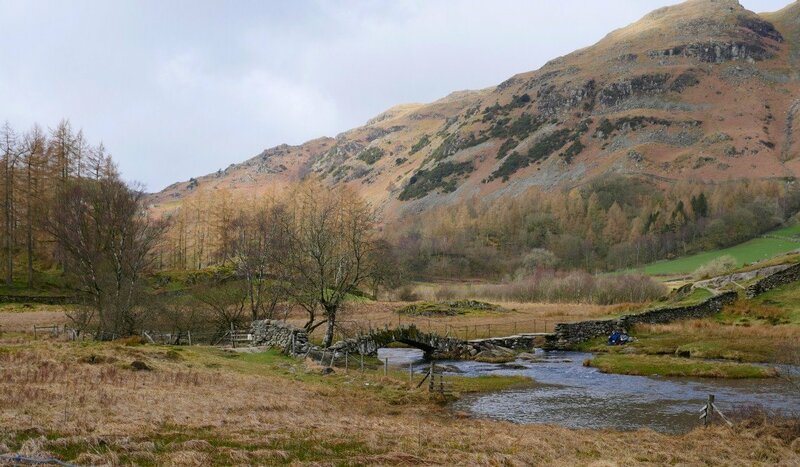 ( There is a little sign now ) The skies are darkening to the north and annoyingly we were rained upon for the last mile back to Elterwater.